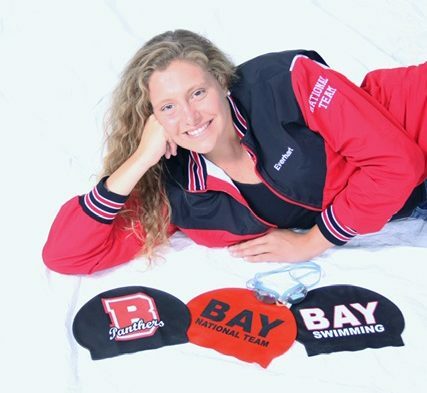 The Bloomsburg Area YMCA recently checked in with one of our champion swimmers, Hanna Everhart! How long have you been a Y member? I have been a Y member my entire active life. My family purchased a family membership when I was 8 years old; I have been visiting the Y ever since. What are your 3 favorite things about BAY? I loved the family atmosphere on the BAY team. Every parent, swimmer, timer, coach and official from our team was someone I could go to for support. They celebrated my accomplishments and encouraged me after my failures. I also loved the coaching staff. From college students to my Mom to head coach, Coach LaCroix, I was pushed to my body’s limits to hurtle obstacles and accomplish great achievements. Each practice, I knew I was given the tools to succeed my wildest swimming dreams. Looking back on my 12 years on the team, I also love the memories the BAY swim team has provided. Of course I remember my visits to the top of the podium, but the times laughing with my BAY family, completing dryland workouts as a team or skipping around the pool are memories that will never be forgotten. In my short life, I have already achieved memories to remind me of how good life can be. What purpose does the YMCA serve in your life? The YMCA serves as the provider of the team that has brought me so much joy. It is the organization that has given me the opportunity to pursue my swimming goals. Have you made a lot of friends at the Y? I have made countless friends through the BAY team. Friends who stick together, stay together. Working through the hardest practices of our lives, my friends and I have made strong bonds to last a lifetime. At Y sanctioned swim meets, I have made friends on other teams. Hazelton Y’s and Schuylkill Y’s teams account for new friends I would have not met without BAY. The sportsmanship in this sport is something I enjoy. Every swimmer knows that everyone works hard in the pool. Every one of us deserves being the best swimmer they can be. What would your life be without BAY? My life would be uneventful and bland if it weren’t for BAY Swimming. I would not have the lifelong friends I’ve made or the everyday bustle of getting in another practice. I would not trade my time with BAY for anything. It truly was the best 12 years of my life.